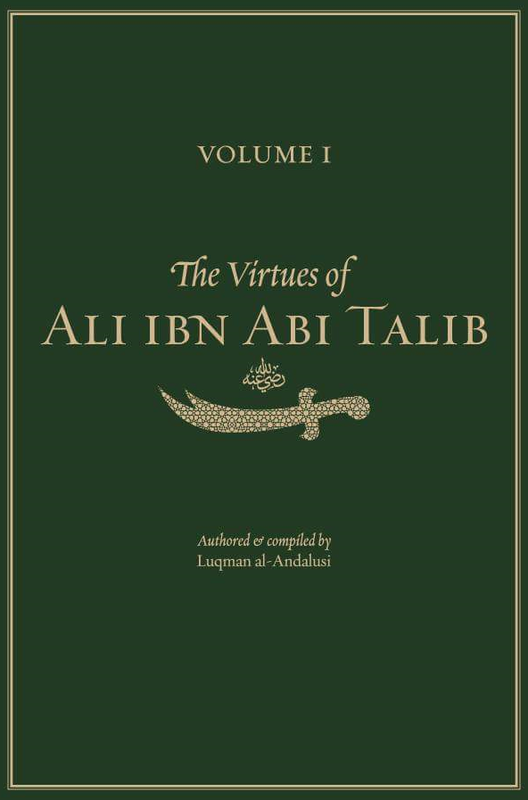 I had the honor of being asked to write the foreword for this noble effort, a book compiling some of the virtues of the cousin of the Pole of Creationﷺ and the Keyholder of the Sufi Path, Seyyidina 'Ali ibn Abi Talib, may Allah shower him in peace and ennoble his countenance. Published by Jawahir Media, it was compiled by Sidi Luis Jijon (Ustadh Luqman), may Allah facilitate his affairs and accept his efforts. 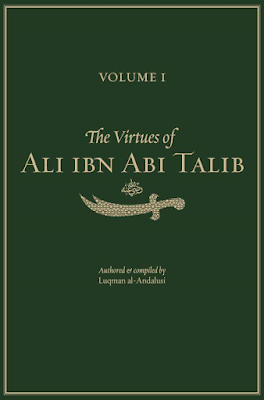 The introduction was written by Shaykh Dr. Muhammad bin Yahya al-Husayni al-Ninowy الشيخ د. محمد النينوي, may Allah preserve him and aid him in his calling to Allah. You can find the foreword I have written below, follow the link below to buy the book. I come to speak to you not as a scholar, nor as a learned man, nor as a historian. I come to you as a man with no titles. I come as a lover. And what is there not to love about the man I have come to speak of. For he is the beloved of the Beloved of Allāhﷺ. He is the son of the Prophet's uncleﷺ. He is the Dweller of the City of Knowledge, nay, he is its very Gate. I come to speak to you of the one whose single strike before the enemies of Allāh is worth more than the worship of all of Mankind and Jinns. What is there not to love. I have come to speak of the one whose Noble Countenance is so full of Light and Remembrance of Allāh, resplendent with the Love of the Prophetﷺ, that beholding it is itself an act of worshiping Allāh. We look to him as our spiritual father, he who was born in the Kaʿaba Sharifa itself. We look to him as the quencher of our thirst on the Path to Allāh for he is the Spring of the Sufic Sciences, the Over-pouring Vessel of Divine Secrets and Lights. We look to him as our Guiding Shaykh and Instructor of Etiquette for he is the Exemplar of Chivalry. He is the Spouse of the Best of Creation's daughterﷺ, the Father of the Ḥassanain, the Martyr, the Lion of Allāh, the Wielder of the Sword of Truth, the Keyholder of the Path, the Possessor of a Prodigious Station, the Lifelong Companion of the Beloved Prophetﷺ, and his Companion in the Next Lifeﷺ, Our Master, Our Star of Guidance, Our Teacher, Sayyidunā Wa Mawlānā ʿAlī ibn Abi Tālib ibn ʿAbd al-Muṭṭalib ibn Hāshim ibn ʿAbd Manāf ibn Quṣayy ibn Kilāb ibn Murra ibn Kaʿb ibn Luʾayy ibn Ghālib ibn Fahr ibn Mālik ibn an-Naḍr ibn Kinānah ibn Khuzaymah ibn Mudrikah ibn Ilyās ibn Muḍar ibn Nizār ibn Maʿād ibn ʿAdnān. ʿAlī, the intimate companion of Muḥammadﷺ. Contemplation of his virtues illuminates our intellects and hearts. Remembrance of his qualities heightens our aspirations. Love for him and his Sanctified Family opens our chest and attracts the gaze of the Most Merciful One. Adopting his attributes grants us proximity to him and thus causes Celestial Torrents of Mercy to rush towards us. He is the Elect of Allāh, the Friend of Allāh, and those endowed with radiant intellects and understanding without a doubt seek to befriend the friend of the Friend. O Allāh – by the rank of Your Lion in spirit and in flesh, our Master ʿAlī , enlighten and ennoble his Resplendent Countenance and grant us a portion of the Baraka and Knowledge from the Oceans of Baraka and Knowledge that You have bestowed upon him. Bless him with a blessing reserved to those who have attained Your Eternal Pleasure and Mercy, and us with him. Raise him perpetually in stations until the Day of Reckoning, and raise us with him. Have Mercy on his Noble Descendants and Forgive them, and have Mercy and Forgive us with them, and keep us in their circle until the day our Souls are called to You. Dress us in the Lights and qualities of ʿAlī and adorn us with his beautiful states. Grant us a drink of his unrelenting courage in proclaiming Truth. Embellish us – O Allāh – with his majesty before falsehood and his Mercy before the believers. Ornament our hearts with his love and love of his Family and grant us to cross the Veil with that love firmly rooted in our hearts, by the rank of Lā Ilāha Illā Allāh, and may the utterance of the latter be our last words and state. O Allāh – Do not take our Souls but that You have written us amongst his sincere lovers and followers, by the rank and honor of the Pole of Creation, our Master and Guide to the Unseen, Muḥammad, may Your peace and blessings shower upon him and his Sanctified Family eternally, O Most Merciful of those who are merciful.